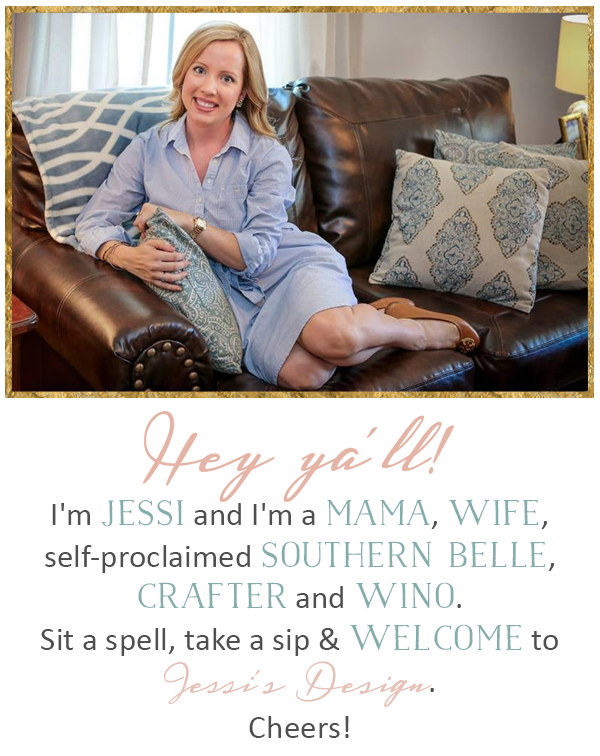 Jessi's Design: Friday 5: Bow Sale + Lilly Styles! Hey ya'll and happy Friday! This was a fast week huh? Just kidding - I know some of ya'll started back from break and it probably made for a super slow week. Hopefully it wasn't too hard getting back into a routine - Cheers to the weekend even more so! For today's Friday 5 I'm sharing 5 styles of Jessi's Design bows that have been marked down to $5 each or two for $8. Thank ya'll so much for your support during the Insta sale! I'll definitely do another one next week with new styles to pick from so stay tuned. I haven't tested it out on my actual blog so lets see how this goes. It's easy - just comment sold with your e-mail (or if you don't want to leave it on here, you can e-mail me directly) and let me know your style choice. I hope ya'll have a fabulous weekend! Andi has another birthday party to attend on Saturday so I'm excited to see her excitement and other than that we're just going to hang out relax. 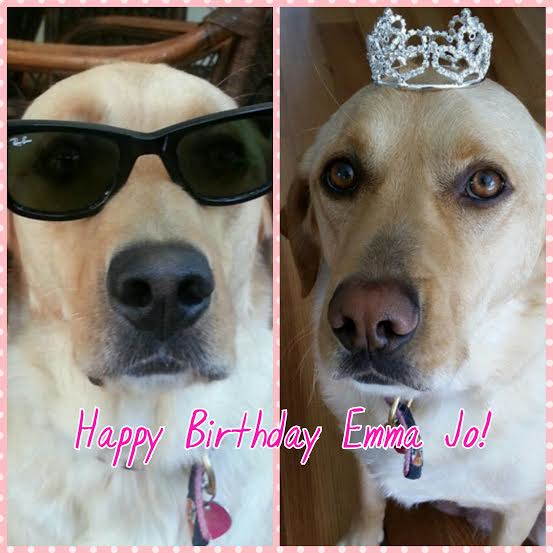 Also, today is a very special day in our household....drumroll please...Miss Emma Jo is 4 years old today! We've got one happy pup with her giant (messy) bone and 2 pig ears sent her way from her Grandpa. Happy Birthday EJ! Linking up today with April from A. Liz Adventures, Amanda over at Meet @ the Barre and Karli with September Farm. for Friday 5 and Friday Favorites. Join in! Your bows are so pretty!!!!! Love the colors and patterns! 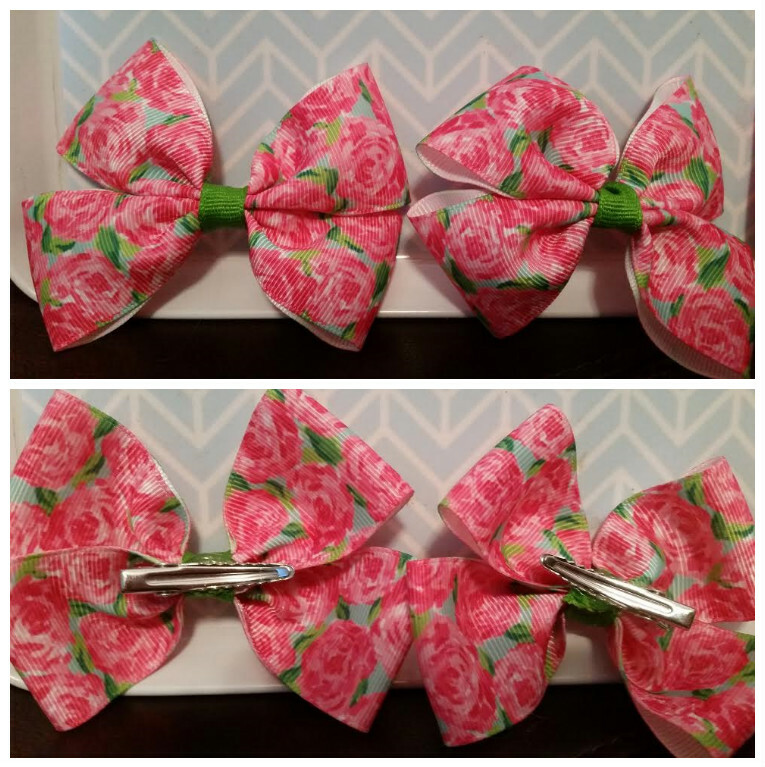 I love the Lilly bows! I might need to grab some of those up for my nieces :) Happy Birthday EJ! 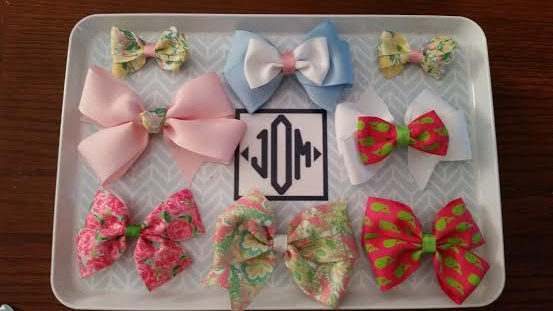 How fun are all those bows!? So cute! 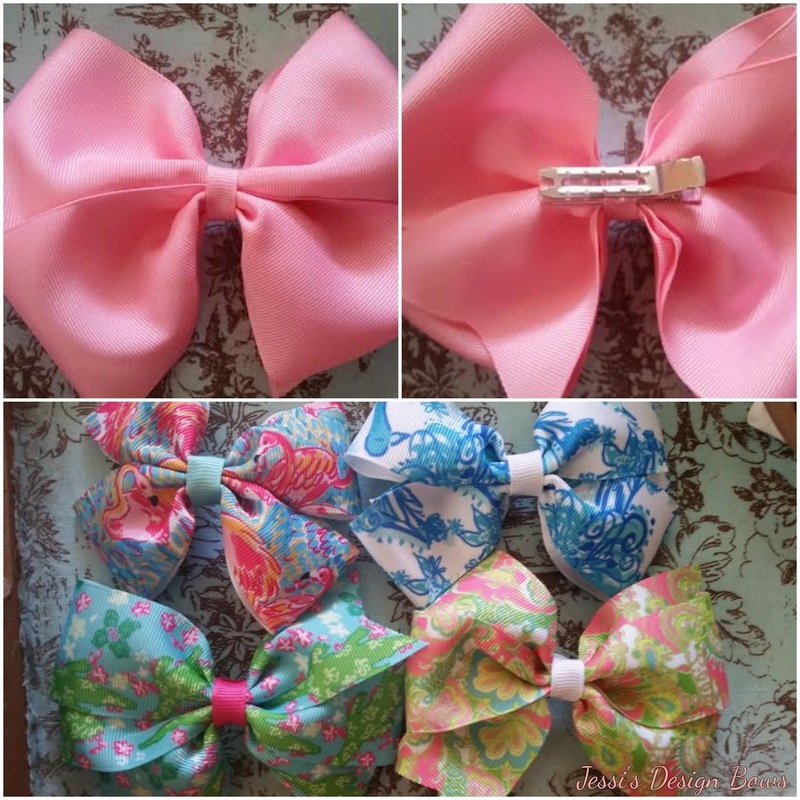 Such fun bows, I wish I had a little one to buy for! 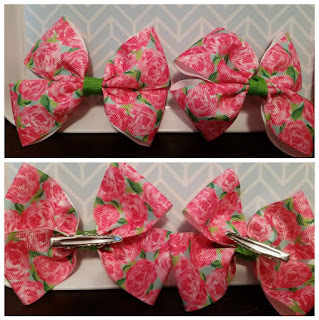 Your bows are just darling! I'll have to keep following along and grab some for Olivia! 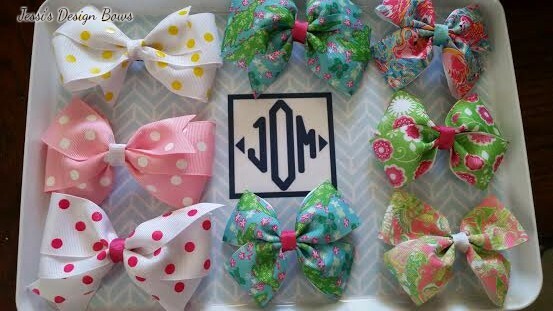 Those bows are adorable! Happy Friday, friend!